Treat your family to a fun and educational day out and see London appear as a city of toys from London’s highest viewing platform. Nurture your child’s fascination with the history of London and spark their imagination whilst enjoying the stunning panoramic views. Families can discover over 1,000 years of the capital’s history and spot both historic and modern landmarks including The Houses of Parliament, The Tower of London, Buckingham Palace, the Olympic Park and Wembley Stadium. Children can also play ‘Spot the Sights’ – challenge your children to find some of London’s famous sights. 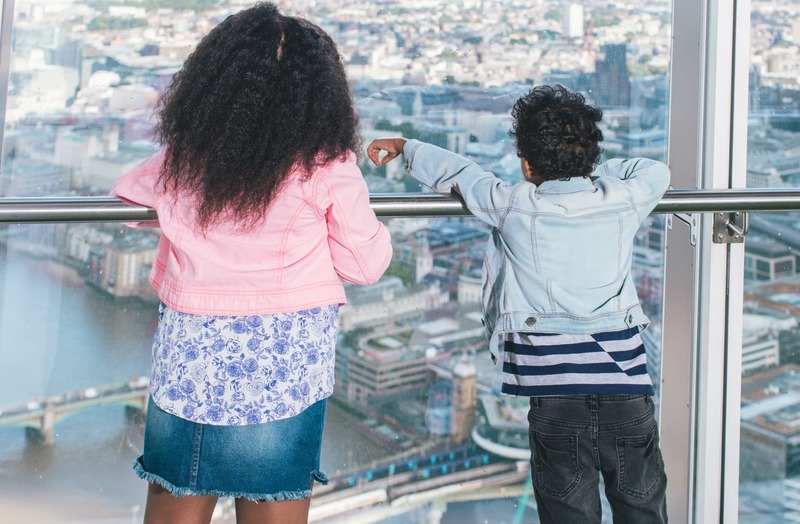 Admission for 2 Adults + 2 Children OR 1 Adult + 3 Children to London’s highest viewing gallery situated at the top of The Shard – Western Europe’s tallest building. Access to the indoor viewing gallery and the open air Skydeck on Level 72 where you’ll be exposed to the elements and the sounds of the city below. Access to London’s highest Champagne bar. Our friendly Guest Ambassadors will bring the view to life with their in depth knowledge of London’s skyline. Drinks and snacks available to purchase throughout the attraction. No time limit in the attraction. *Terms and conditions apply. Not available in conjunction with any other promotional offer. Children must be aged 4 – 15 years (infants aged 3 and under do not require a ticket). *Opening times may vary due to events that are taking place. Please check Opening Times page before you visit (PLAN YOUR VISIT>Opening Times).